Sharp contemporary look for down town homes. Polished chrome trim corners and finial button with frosted glass shade and diffuser. Unscrew finial button to clean or replace bulbs. This ceiling mounted light fixture comes in Satin Platinum with white fabric shade. This Transitional Semi Flushmount will complement the decor in any room of your home. Made with solid steel construction to look great and last for years to come. 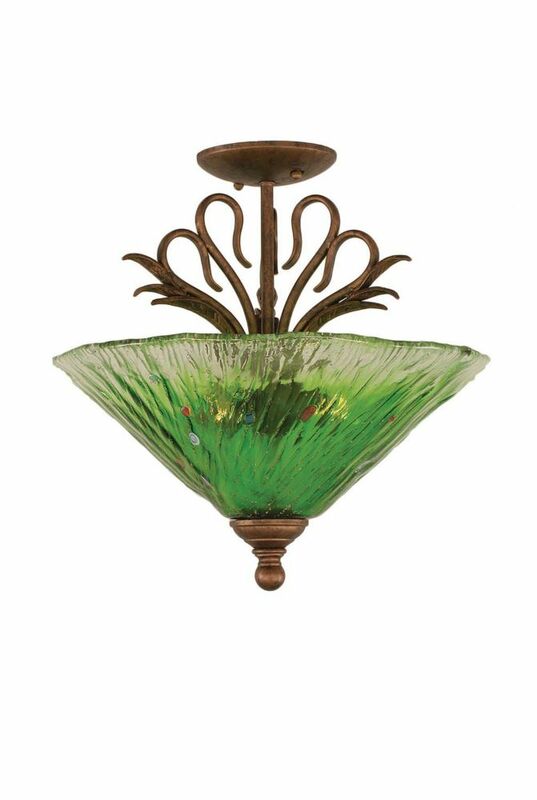 Concord 3-Light Ceiling Bronze Semi Flush with a Green Crystal Glass The cornerstone of the concord Collection is quality, and this semi flush is no exception. Combining a classic bronze finish and posh styling, you will find no better way to highlight the charm of your home. With the superb craftsmanship and affordable price this fixture is sure to tastefully indulge your extravagant side.